Looking south across contemporary Yerevan with a mixture of new construction sites and Soviet social housings.Image credit: Hachikyan Alina. 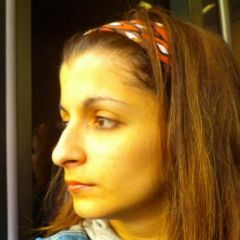 This is a cross-post of an essay that originally appeared on the Ajam Media Collective online space. 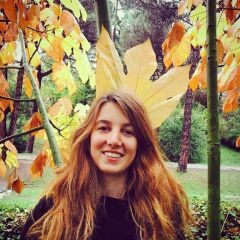 The author, Sina Zekavat, is a student of urban spaces that has lived in Tehran, London and New York. 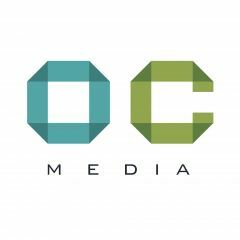 Ajam Media Collective documents and analyzes cultural, social, and political trends in the diverse Iranian, Central Asian, and Diaspora communities. It is impossible to walk around Yerevan today and not notice the melancholic presence of one building typology across this rapidly changing urban landscape: The Soviet social housing block. 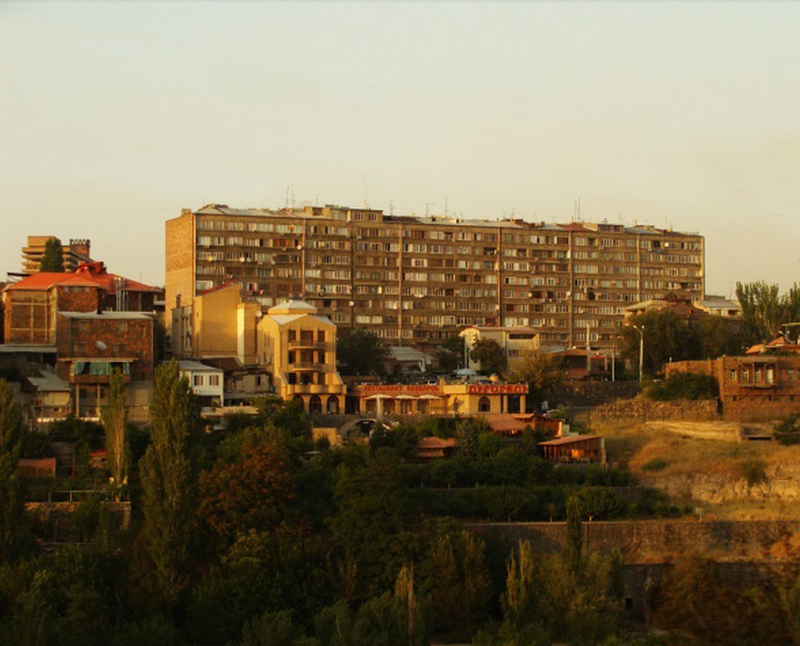 Far from being a clean break from the past, the Soviet housing legacy remains highly present and influential in the daily experience of Yerevan. 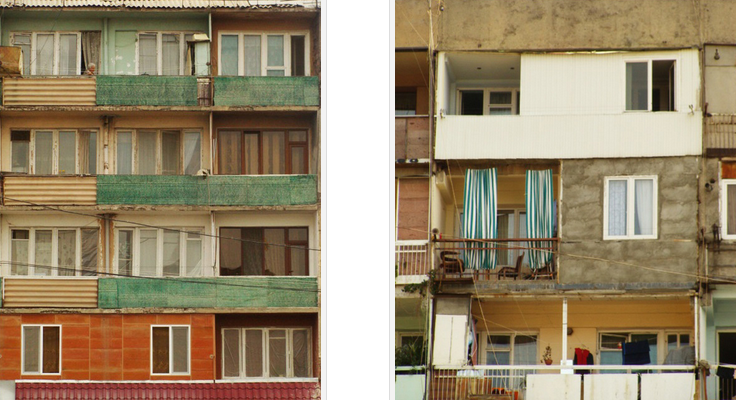 These grey and often crumbling buildings constitute the largest share of housing in Armenia. 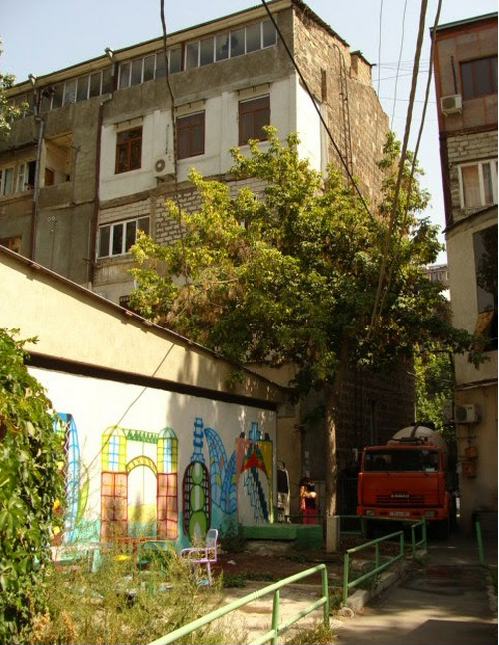 Unlike some countries with longer capitalist heritages where social housing has become marginalized as a place for the poor, in Yerevan and in many other post-socialist Eurasian cities like Baku, Tbilisi and Tashkent, these housing blocks still provide the most common and accessible living conditions for average citizens. 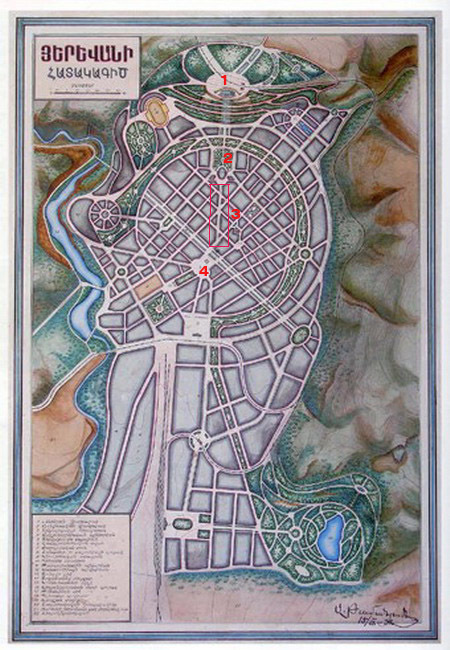 Map 2: Tamanian’s general plan of Yerevan. Note the change in map orientation from East-west to North-South. 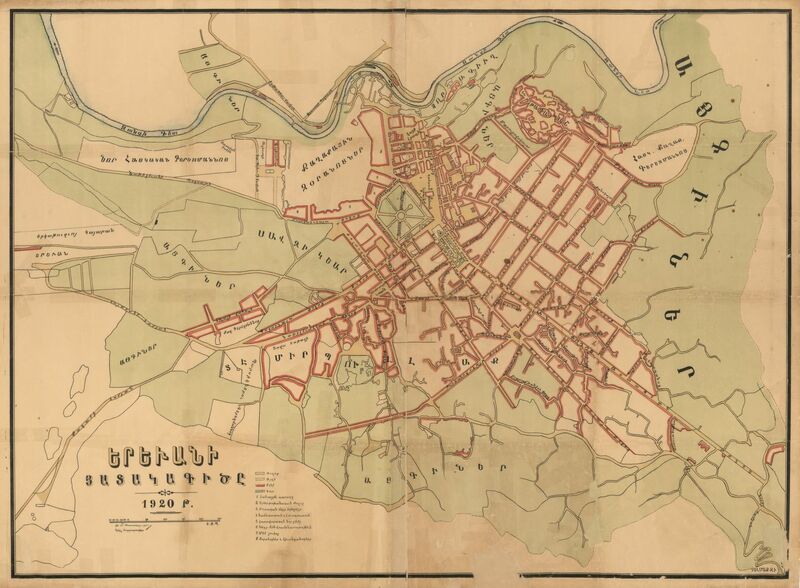 Perhaps this plan laid the foundations of North-South axial orientation for urban Yerevan. Numbers: 1- Stalin Sculpture 2- The Opera House 3- Northern Avenue 4- Lenin Square. Image credit: hovikcharkhchyan’s blog. 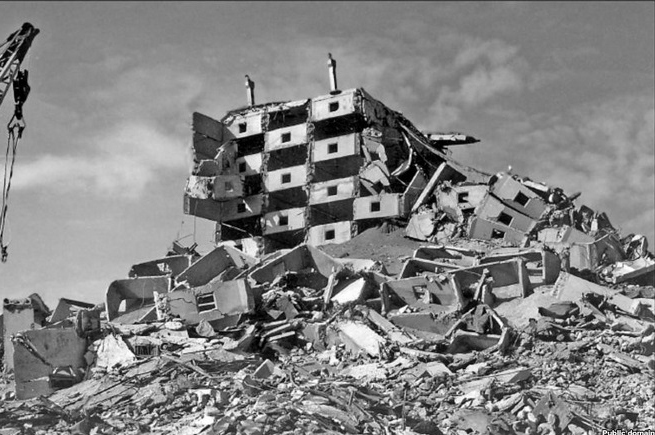 A prefabricated building after the 1988 earthquake. Creative Commons. 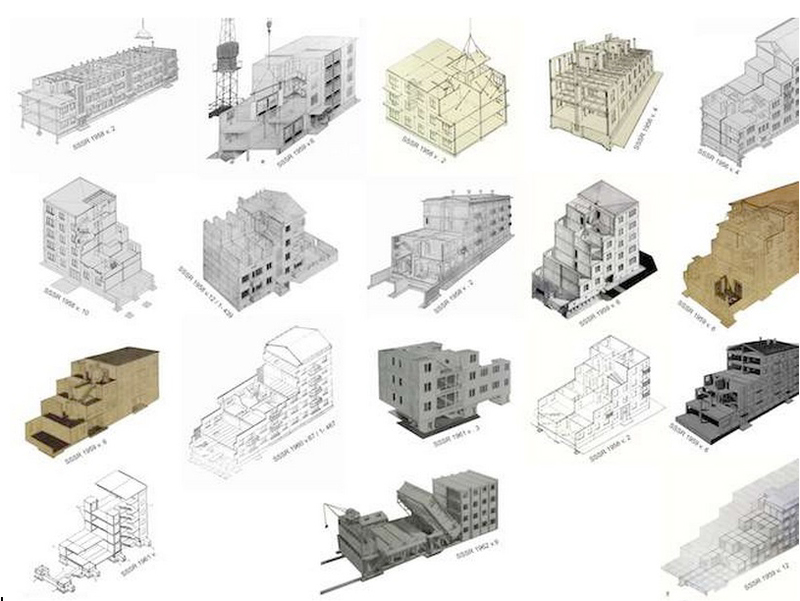 Soviet housing prototype systems. Image credit: Pedro Alonso. Soviet housing along Hrazdan River. 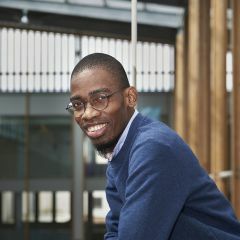 Photo by Sina Zekavat. 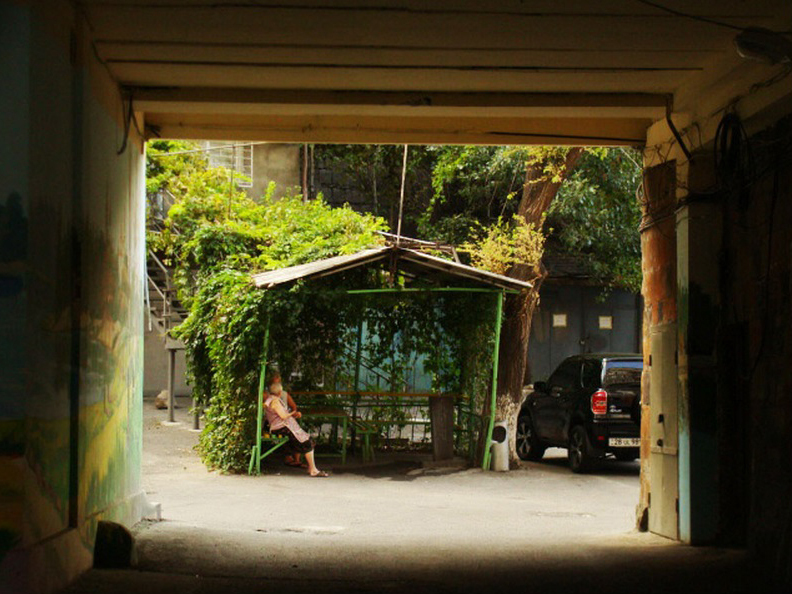 An elderly couple spending their afternoon in the communal courtyard of a Soviet housing block. Photo by Sina Zekavat. (Left) The façade of the soviet housing block. (Right) Left open or enclosed, balconies are still an important aspect of life at soviet social housing apartments. Photo by Sina Zekavat. With the collapse of the Soviet Union, Yerevan became the capital of the independent Republic of Armenia in 1991. 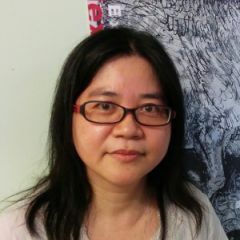 Since gaining independence, the capital city has been subjected to a complex process of post-colonial nation-building while simultaneously adopting globalized urbanization trends. Implementation of social, economic and spatial hierarchies has become the necessary first step for introducing the city to global markets. Spaces of new Armenianness are carved out of the existing socialist urban fabric. Similar to many other gentrifying cities, demolition and displacement are becoming more and more a common practice. 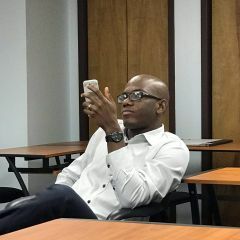 New multinational construction projects are presented and justified as acts of nation-building while the low income majority is expected by the emerging elite to make sacrifices for the benefit of the nation as a whole. Right image: Same view in 2013 after the opening of Northern Avenue. Image credit: Hayk Bianjyan. During the past twenty years, lack of public management has in many cases left communal spaces to their own fate. In some places individuals or groups of residents have taken on the responsibility of improving their conditions. In this case a new playground has been added to the communal courtyard. Photo by Sina Zekavat. 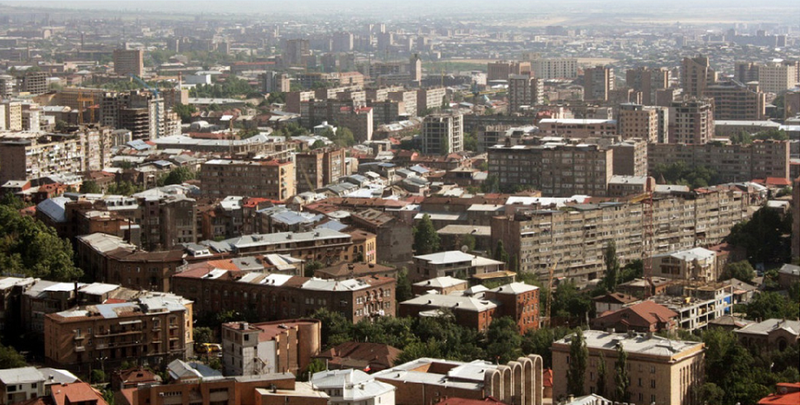 An aerial view of contemporary Yerevan. 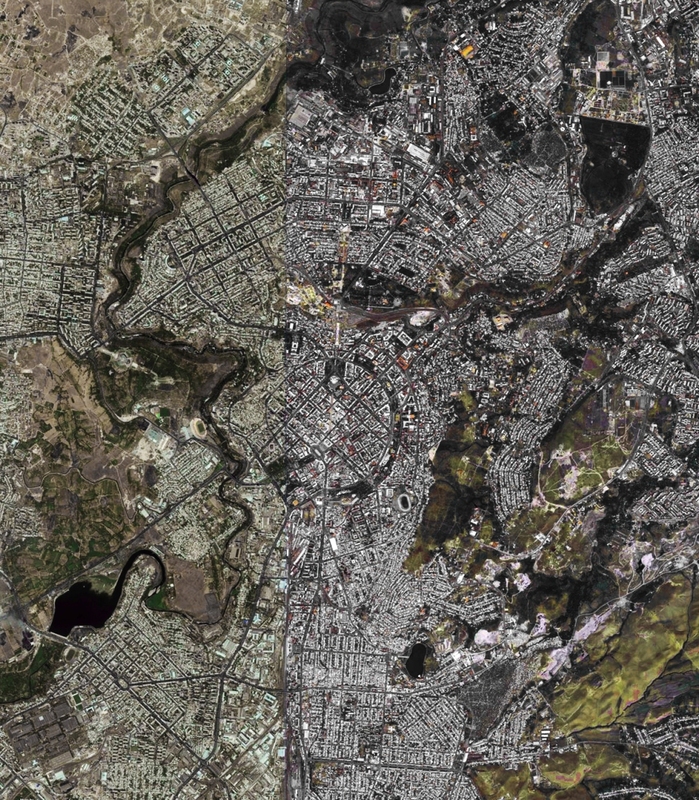 (Image credit: Bing Maps).